Autumn is great, kicking around in the leaves, jumping in muddy puddles and getting rugged up for long walks. It’s also a time where many of us start to see laundry begin the post-summer increase (I blame those muddy puddles) but help is at hand, by way of a FREE washing machine in this week’s competition! 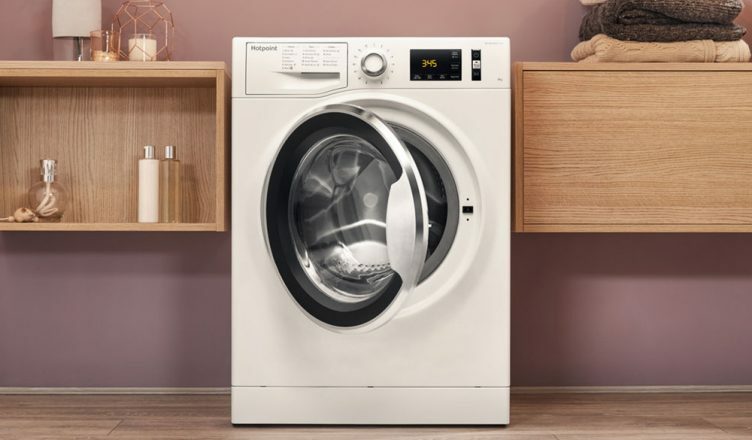 That’s right; we’ve teamed up with our friends at Hotpoint to make one person’s laundry load a whole lot easier as they’ll win an amazing Hotpoint NM11946WCAUK washing machine! This Hotpoint NM11946WCAUK, part of Hotpoint’s ActiveCare range, is a washing machine that’s economical, full of functions and is also energy efficient. With an impressive 9kg wash capacity, it’ll deal with large loads (the equivalent of 45 t-shirts) quickly, quietly and efficiently. The Hotpoint NM11946WCAUK washing machine is finished in white, ensuring it’ll look good in your kitchen or utility room. It delivers outstanding performance and, thanks to the A+++ rating, you can be sure of outstanding energy efficiency. 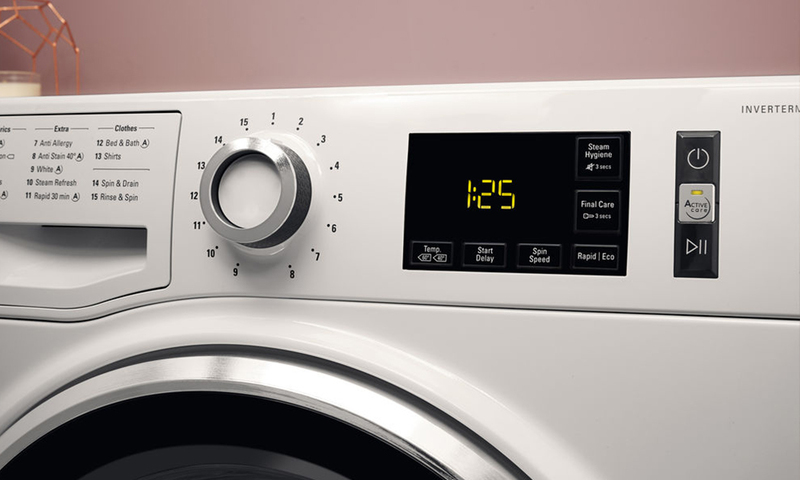 For an exceptional stain-busting, laundry solution that cares for and protects your clothes, the 1400rpm spin speed and wealth of programs will help to simplify your life. Best-in-class for getting rid of stains, Hotpoint’s innovative ActiveCare technology is kind to your clothes and tough on stains. The Hotpoint NM11946WCAUK is capable of removing more than 100 stains at temperatures as low as 20°C, so you can wear your favourite clothes time and again, knowing that fading and bobbling is minimised. This washing machine also features Hotpoint’s Steam Pack. 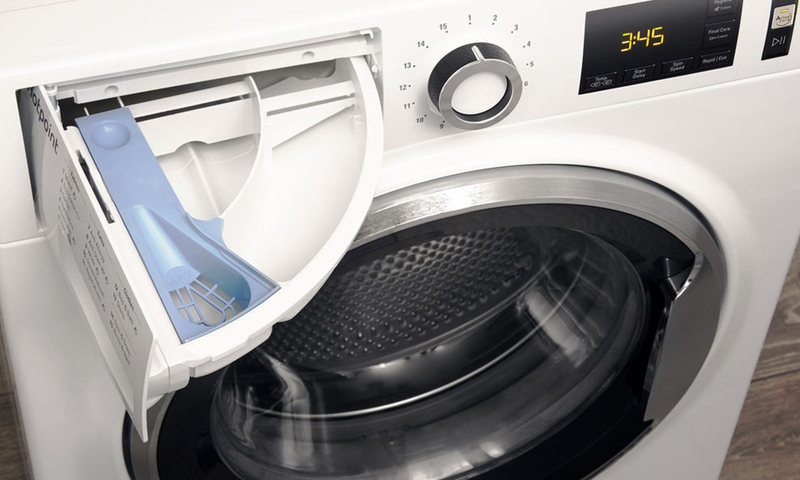 The Steam Pack has two unique steam cycles: Steam Hygiene & Steam Refresh to provide the ultimate care and protection to keep your laundry fresh and perfectly clean. Steam Refresh freshens up clothes without the need for a full wash. Steam penetrates deep into the fabric, dampening them slightly which has the added bonus of reducing creases for easier ironing; this cycle takes just 20 minutes. The Steam Hygiene removes up to 99.9% of the most common bacteria without using any chemical additives by injecting steam directly into the drum at the end of the wash cycle. Hotpoint’s Rapid Option lets you reduce your washing cycle time by up to 50% (varying by load & programme) whilst still enjoying the perfect washing performance. We have one Hotpoint NM11946WCAUK washing machine to give away to one lucky winner but you can buy online or why not rent the Hotpoint NM11946WCAUK for just £4.85 per week? To find out more and to be in with a chance of winning just head to our Facebook, Twitter or Instagram pages to find out how you can enter our brilliant FREE competition. You can also buy online, use our Click & Collect service to collect from your local store in as little as one hour or why not ask your local store about viewing our Hotpoint range.